The hope of 3 students from Cirendeu Community for the chance of attend college in September has now been fulfilled. Here is the story of two of the students. Rustandi is studying Management and Ardiansyah is studying Industrial Engineering. 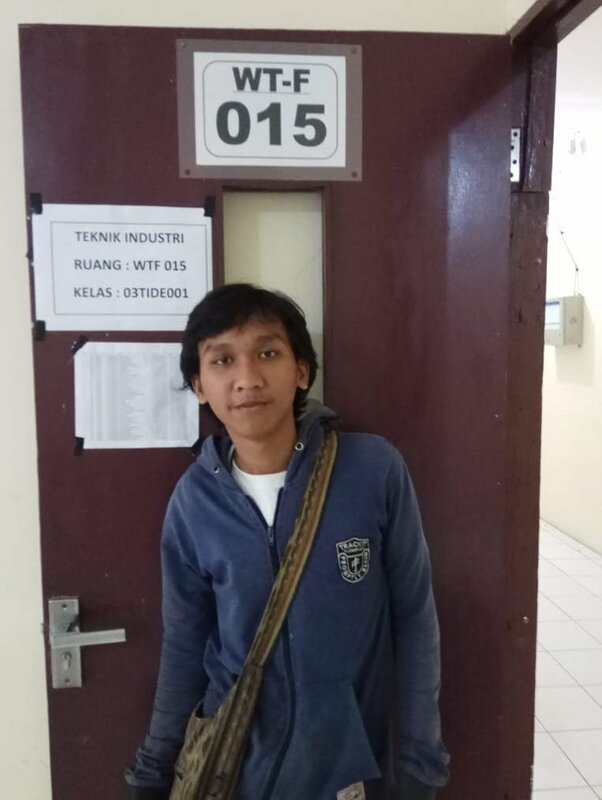 Rustandi (nickname Tandi) and Ardiansyah (nickname Ardi) have started their college year last month, after going through back and forth decisions, and passing the entry tests, they finally got accepted. Coming from many generations of trash pickers and trying to compete with more than 800.000 students for places in 85 colleges with 1 chair for 15 applicants, their chances were quite slim. Ardi’s father had passed away when he had just started his first year in high school. His mother never worked before and now she had to raise her son and 2 daughters. Being a single parent, Ardi’s mother never dreamed Ardi could continue his study at college. Tandi’s road going to the college world is about the same as Ardi. In the beginning, Tandi did not want to go to college. He just wanted to find a job, any job. Help us ensure that the children and the adults in our community can have a better life by giving them a better education. We want to empower the trash picker’s children and make them believe that they can have a better future and that they can move away from the dump site into a better life. Your continuous donations through Global Giving will continue to help Ardi’s and Tandi’s dream become a reality. Very Interesting Blog, For all it it will set a good example.